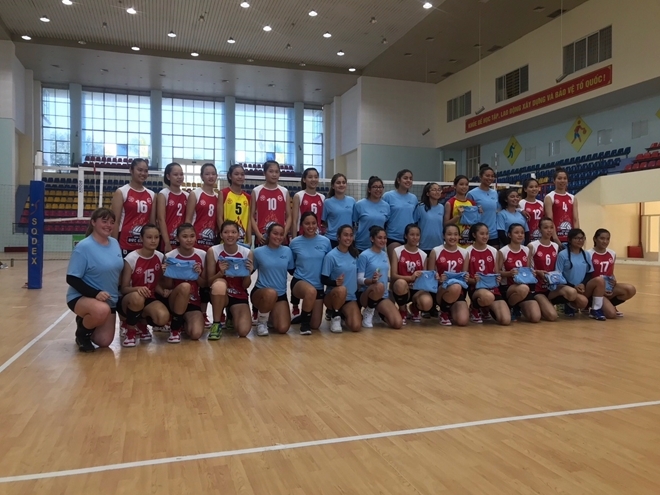 Twenty-five female high school volleyball players and coaches from the United States kicked off a U.S. Department of State sports exchange program in Vietnam on July 10 as part of a program to build friendships through sports and to create mutual understanding among the young people of the two nations. Volleyball teams from Duc Giang, Bac Ninh, and Quang Ninh will host exhibition games with San Diego’s Exodus Volleyball Club The San Diego team will also visit KOTO to learn about local opportunities empowering at-risk-youth; spend a night on Halong Bay to learn about environmental preservation efforts; and tour cultural sites including the Temple of Literature and the Museum of Ethnology. 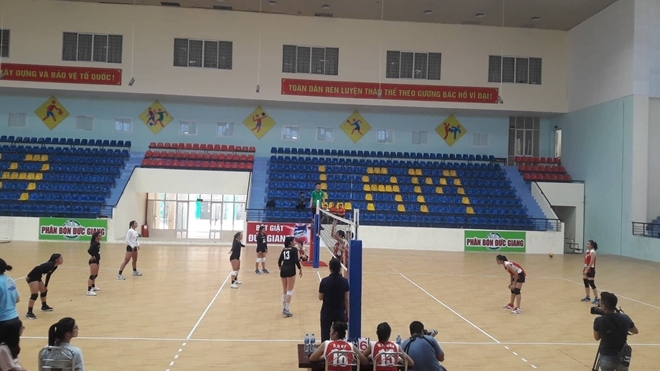 Following their visit to Vietnam, the San Diego team will then travel to Luang Prabang, Laos, where they will host a volleyball clinic and tournament with local teams. Teams from Vietnam and Laos will then spend a week in San Diego in December 2018 for a reciprocal exchange experience which will be funded by the U.S. Department of State. While in San Diego, players from Vietnam and Laos will play friendly matches against local teams, enjoy dinner in the homes of local San Diegans, and explore local cultural sites while deepening their connections with their San Diego peers. This program, organized by the San Diego Diplomacy Council in partnership with the National Ability Center, is funded through an International Sports Programming Initiative cooperative agreement through the U.S. Department of State’s Bureau of Education and Cultural Affairs’ Sports Diplomacy division.